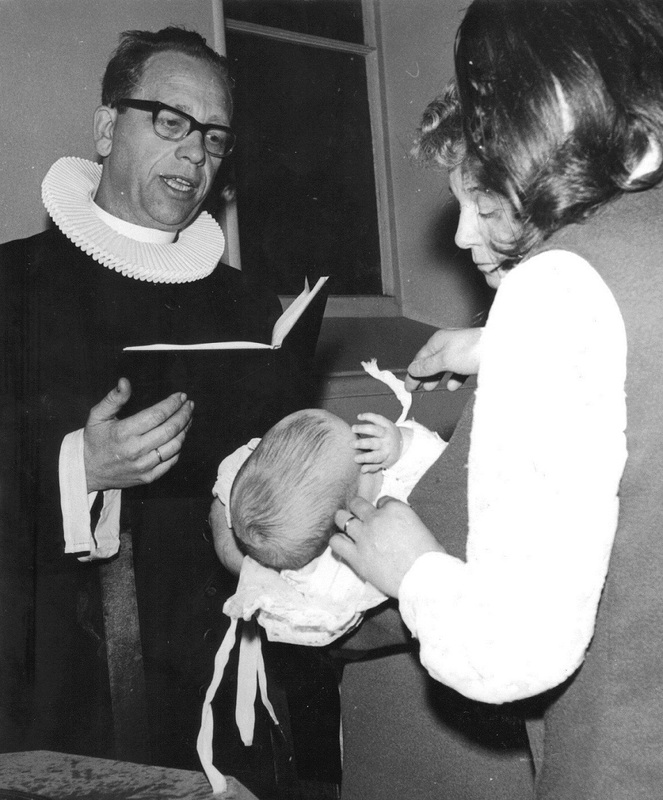 At that time, Mr Andreasen was the church custodian, and he became a focal point for many of us Norwegian students at the time. 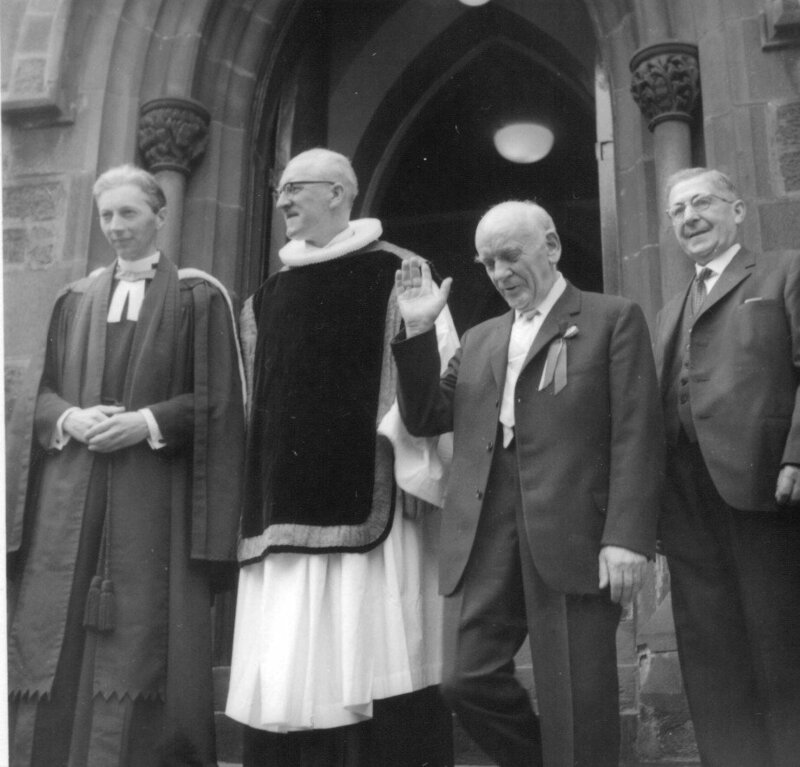 I lived not far away from the church, and had the opportunity to pop by a couple of times every week. A cup of coffee, reading Norwegian newspapers, and last but not least, a chat with Mr. Andreasen and the others passing by. 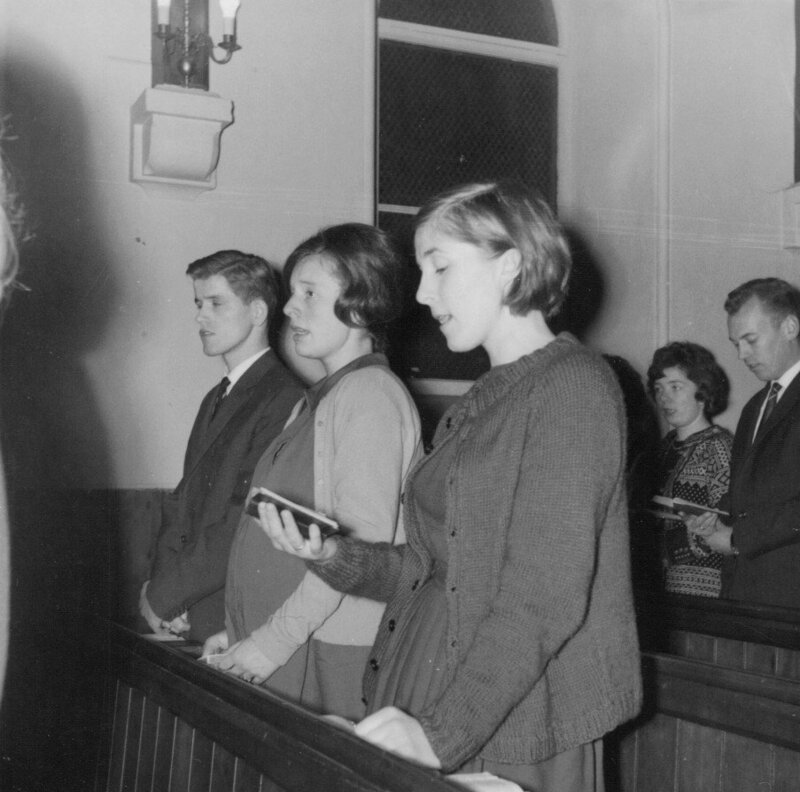 After service at the Church. 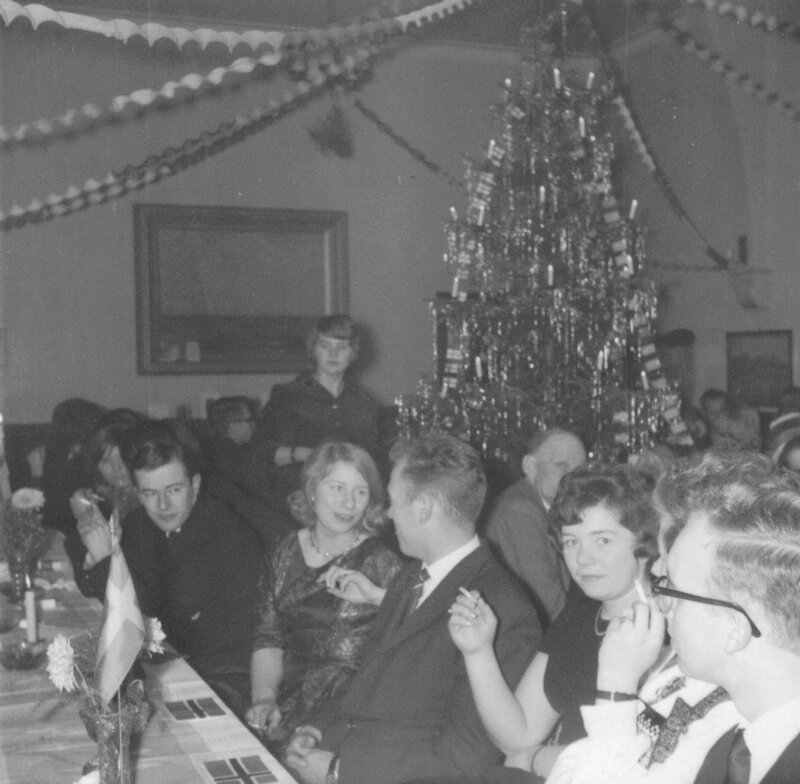 Andreasen, the custodian at the right. 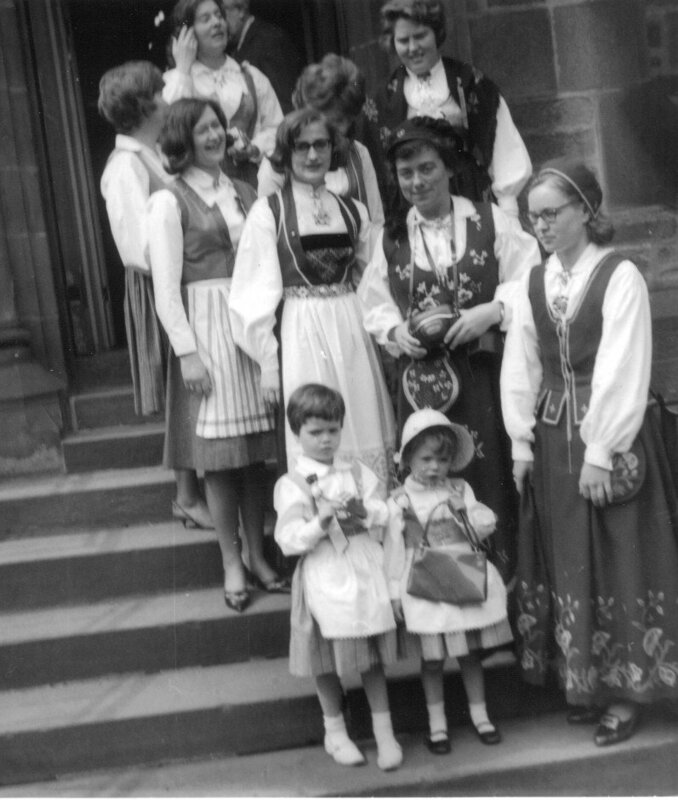 Photo possibly taken during a jubilee or at the occation of the visit of king Olav. 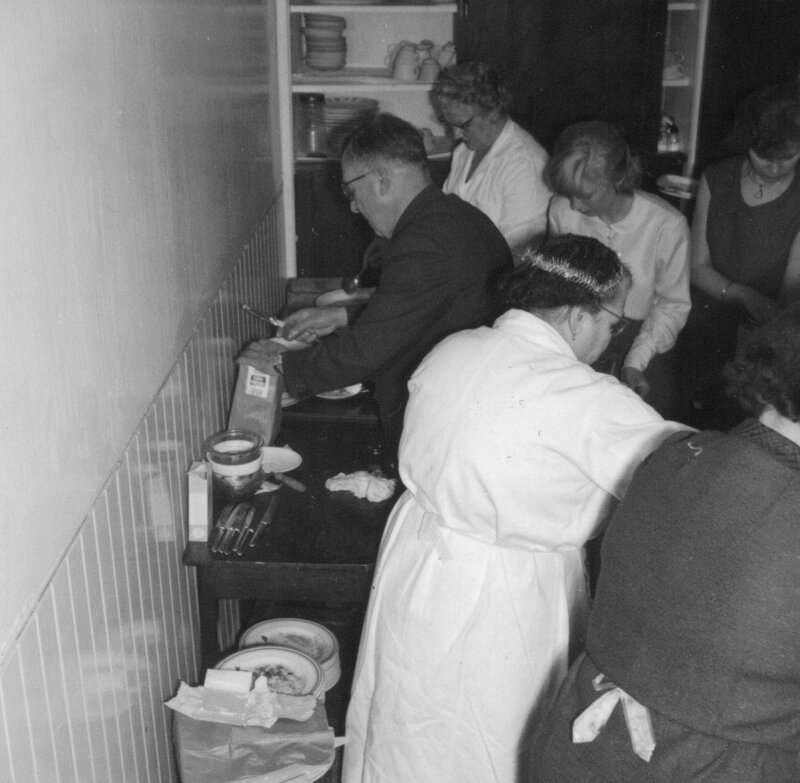 Andreassen overseeing preparations for Christmas turkey in the small kitchen at the back of the reading room. 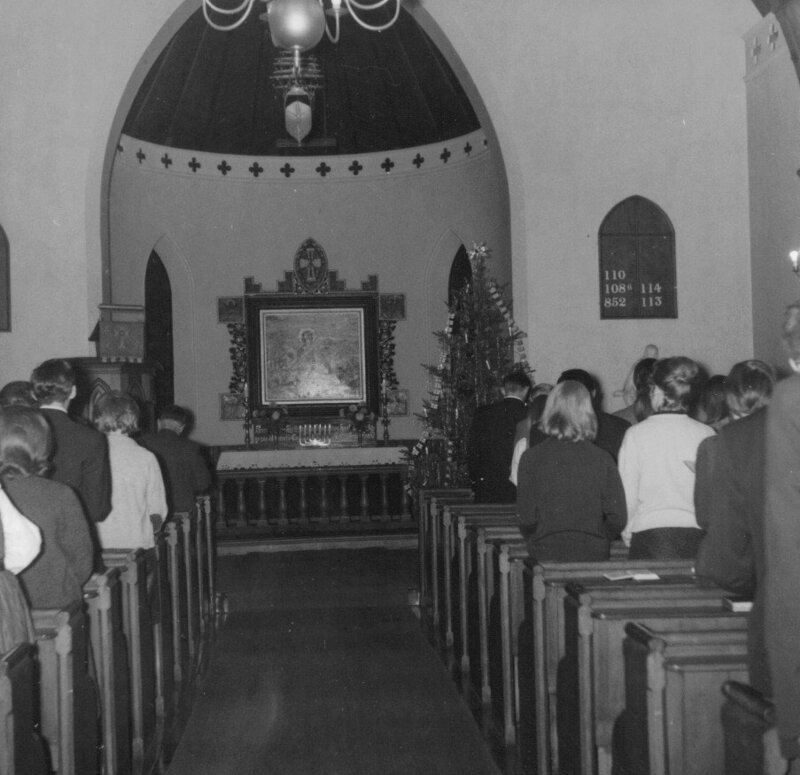 Christmas eve at the Church reading room, 1964. 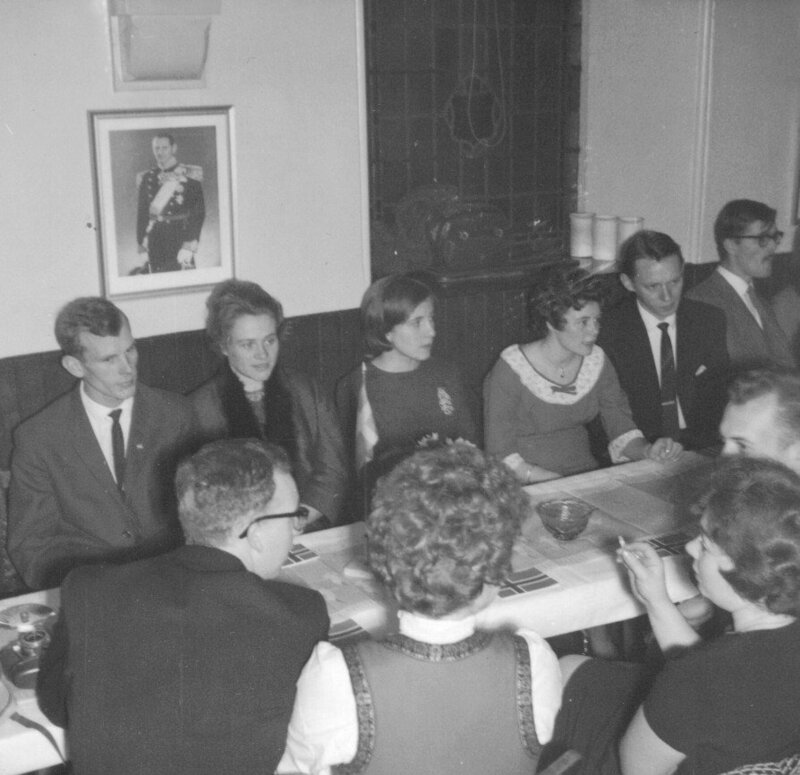 Back row from left : Unknown Couple, Christine, Irene Dippner and Svein-Erik Dippner. Svein-Erik was my best man. 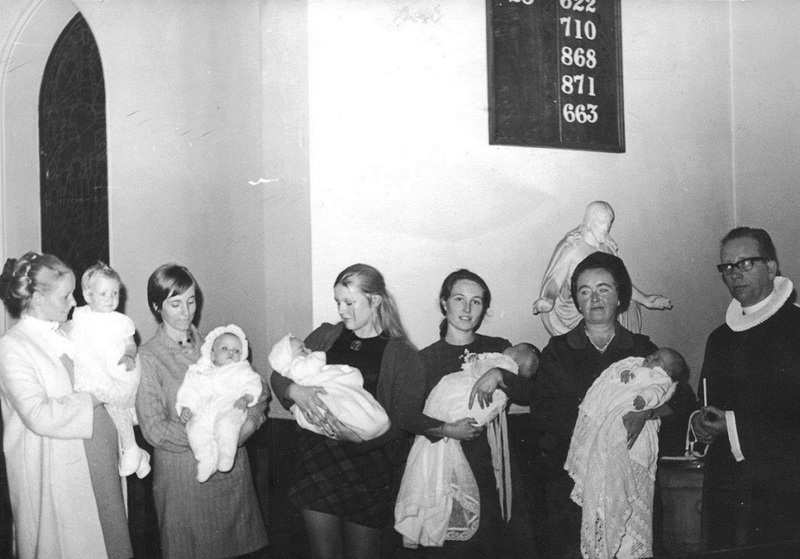 Christine holding Tanya, second from left. 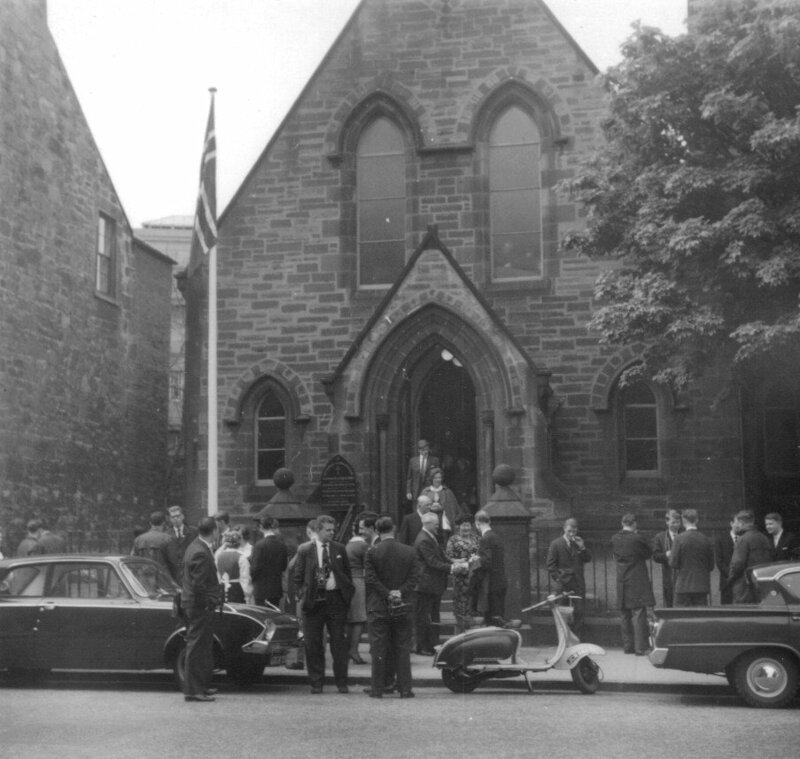 The Norwegian Seamen's Church in Leith.